Tall Ship is a photograph by Susan Maxwell Schmidt which was uploaded on May 5th, 2015. 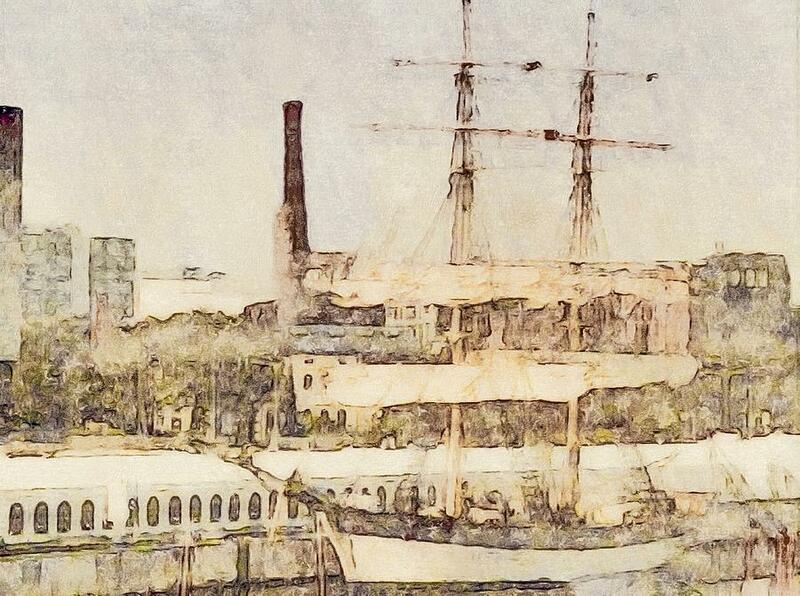 An original photograph of a tall ship turned stunning watercolor painting through the magic of digital postprocessing. Though I struggled quite a bit with this one and ended up straying a little from my original vision, I ultimately ended up loving the results and it has actually even become one of my favorite photo paintings. I used a neutral palette of mostly cool dusty colors, primarily lilac purple, sage green and wine, on a warm cream background. Please visit my Painted Photography art gallery to see all my digitally painted photographic images.